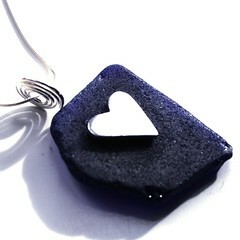 I am pleased to announce that a selection of my sea glass and silver jewellery is now available at Chirnside Gallery. The Gallery is on the main street in Chirnside and also happens to be the Post Office; clearly a good call moving here when our nearest Post Office is a lovely gallery too! 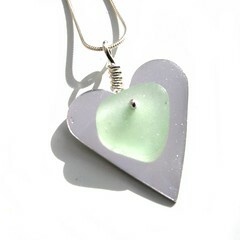 The two pendants above are at the gallery and I love how the fired and polished art clay silver works with the sea glass. The deep blue piece of glass is gorgeous, like a moonlit sky, although it is still slightly damp from tumbling in this photo!